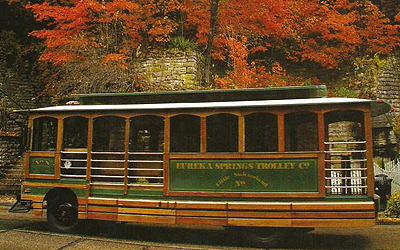 Discover the beauty of Eureka Springs, a peaceful getaway in the heart of the Ozarks. As was once rumored by native tribes, there truly is magic in this little village in the heart of the mountains. Eureka Springs is served by US Highway 62 and State Highway 23. We invite to contact United Country Little Switzerland Realty, Inc., of Eureka Springs Arkansas. We can save you time and money in locating real estate for sale throughout Carroll County, Wayne, Madison County, Benton County, Fayetteville AR, Springdale AR, Rogers AR, Branson MO, Southern Missouri and the Ozark Mountains in Northwest Arkansas. We offer a fine selection of homes for sale, farms and ranches, historic property, land, waterfront property, mountain property and businesses for sale.